We are proud of the progress we’ve made, and our commitment to diversity is unwavering. But we know there is a lot more work to be done. Some people will read this page and see our progress. Others will recognize how much farther we have to go. We see both. 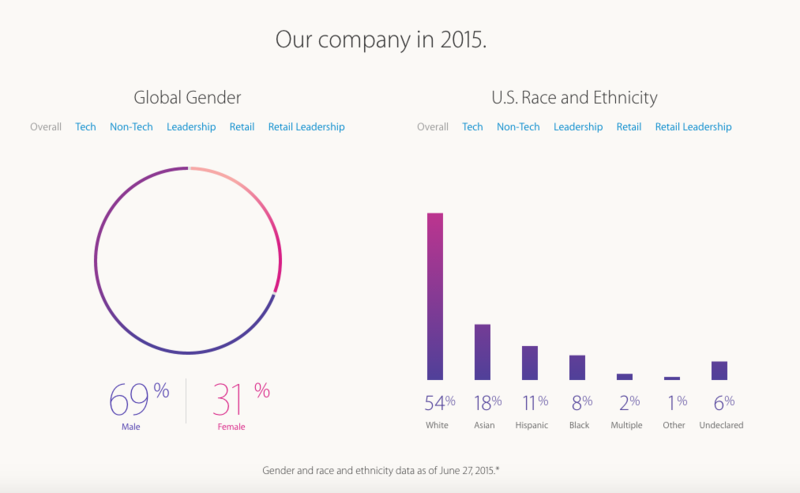 Here’s a math problem: at their current rate, how long will Apple take to line up with the diversity statistics on the planet Earth?